Another pleasant Sunday on the Potomac. About 28 boats showed up which made for some interesting starts and mark roundings. The wind (or lack thereof at 12:30) started south-southwest and as predicted, built slightly and went south during the 3rd race. In the 4th and 5th races, the wind oscillated between the south and south-southwest. The RC set the course in the same spot as last weekend, just east of the marina. When everyone got out there, RC started us out with a kinetics practice race before the wind filled in, with just a windward mark and a downwind finish. In the extremely light air, this was a great time to practice roll tacking and gybing. The Start: In races 1 and 2 (both windward-leeward 2x around), wind was light but manageable. The boat was about a boat length high of the pin, which caused some congestion at the boat. I found that starting in the middle was just as effective because I could get off the line with speed and clear air. Fowl tide caused a sizeable line sag in the middle, also contributing to the opportunity for clear air at the start. Race 3 was pretty similar, but I got a little too anxious and was over early. The start line for race 4 was more square; clear air again was the key. For the 5th start, the wind had gone more south, making the pin more favored. Upwind: My controls (outhaul, cunningham, and vang) for the whole day were pretty loose. There were 3 things I tried to focus on that translated into boat speed: 1) clear air—This is so important in a 28 boat fleet, 2) tell tails—I tried to always have both tell tales flowing back, no pinching! 3) heel—in the lightest air, a bit of leeward heel kept the boat moving, while in the relatively stronger breeze, keeping the boat flat worked. Playing the shifts was important as the afternoon went on. Most of the afternoon, there was enough breeze to almost two block the mainsheet and in the puffs (if you can call them puffs) I would two block to get an extra lift. One side of the course didn’t pay off consistently from race to race. Some legs I went right, others left. Focusing on boat speed, using the 3 points above, really made the big difference. Downwind: The fleet’s tendency is to work its way left, to protect the inside overlap. In light air, I have found that sailing a straighter line, close to the rhumb line, can be quicker. This worked in most downwind legs (last week and this week), as many racers sailed extra distance to the left. However, this strategy only works if you can create separation with the boats behind you. 3 points for boat speed downwind: 1) clear air—a little more difficult downwind but if you can create a little bit of separation from the boats behind you, clear air goes a long way, 2) sailing by the lee—typical sailing by the lee worked: windward heel, center board up, and sitting forward of the cockpit, 3) mainsail trim—I don’t let the main out past 90 degrees because this causes some wind to spill out of the top, though this is an area for debate. Also, as the wind built through the afternoon, I added just enough vang so that the leech (the leading edge when sailing by the lee) was tight and could catch the breeze. Mark Roundings: Tide was big factor today. The flood was strong so over standing upwind worked. On the leeward roundings, if you were clear of other boats, a wide and tight rounding mitigated some of the tide. If you rounded with other boats, the tide generally pushed everyone low of the mark, leaving the door open for boats behind. As we discussed in the debrief, communication leading into the 3-boat length circle needs to be more prevalent. If you are entitled to room at the mark, let the boats around you know. If you are not entitled to room, slow down so that you don’t get pin-wheeled, you might get an opportunity to gain a boat or two if they get swept past the mark by the tide. Thank you to the Race Committee for running 5 fun races and dealing with the light conditions. Thank you Eric for bringing the TV and DVD player to the debrief. Looking forward to watching The Boat Whisperer! 2016 PRSA Dues Are Now Due! Now is the time to pay your PRSA dues for 2016! As a reminder, the PRSA constitution was amended at our Annual General Meeting and Awards Banquet on November 21, 2015. As a result, the annual PRSA membership year now runs from December 1 through November 30. The 2016 membership year started December 1, and you have until January 15 2016 to pay your dues without late fee. On or after January 15, 2016, a late fee of $25 will be added to the dues of returning members. After you fill out the membership form you will be offered the option of paying via PayPal or sending a check to our PRSA Treasurer. I want to emphasize that having our association members pay dues up front each year is of immense help to all of our PRSA volunteers. We can better allocate expenditures over the year, organize RC requirements, set up scoring systems in advance, and more. Your PRSA dues support boat and equipment maintenance, insurance, slip fees, and everything else that goes into allowing us to race each weekend. 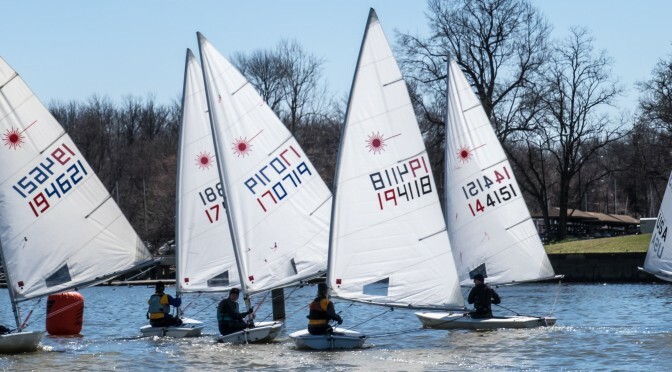 Of course, skippers must be paid PRSA members in order to qualify for the Laser Frostbite Series and the Spring and Fall series racing series, and to be eligible to vote at the PRSA AGM. As you pay your dues I would also encourage you to support the PRSA Commodore’s Club (a donation can be added to your 2016 membership payment). Donation’s to the Commodores Club go directly to our fund for boat and equipment maintenance. Whether big or small, any additional donation is a great help as we work on maintaining our equipment and conducting safe and fun racing each year. A big thank you to all of the members who have already paid their 2016 dues. 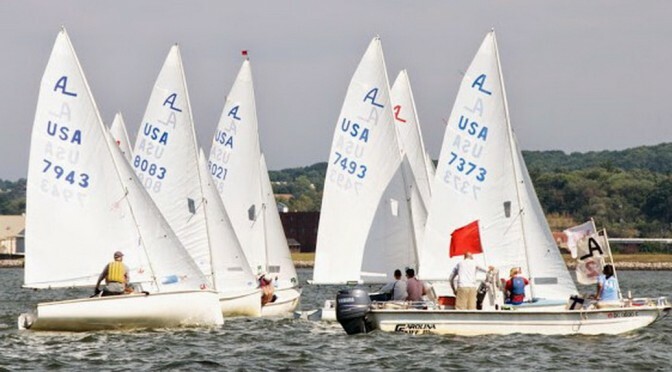 Many thanks, as well, to all of those who contributed to the PRSA Commodore’s Club in 2015 (see listing here: http://www.potomacriversailing.org/applications/membership/CommodoreClub.php) I’m already looking forward to the 2016 sailing season, and I hope that you are as well! The forecast was for 5mph wind, increasing to 7-8mph, however this did not hold as the wind died out during the second race. During the first leg of the first race, Len was first to catch a big shift and took off on everyone. The rest of us battled it out for 2nd. The second race was very light wind with increasing current. Everyone needed to be patient and those with good light wind boat speed finished well. The third race was a windward – leward once around, with wind only on the west side of the course. Adam had a great start at the boat end, then tacked into the wind. However, he got stuck in a hole and others caught up. We finished the day with a great parking lot birthday party for Kevin, who is approaching Grand Master status on the Laser Masters tour. Thanks to Dan and Nich for doing RC! Awesome day on the water! Great job to the RC for fitting in several quality races. The wind was very up and down, and then back up and down again, and then way right, and then left, and then…. we’ll you get the point. Fluky day and very important to be on the favored side of a shift, could make or loose half of the fleet on a couple of occasions. The downwinds were a little tricky for me, tried hard to stay in a lane with clear air and work my way to the inside. Lots of pinwheel roundings. Tide was very high when we first started, so I can only assume it was going out as we raced – it had more effect when the wind was light. I didn’t rly pay much attention to it when the wind was up. The starts were pretty aggressive with the boat being way favored a couple times with a lot of people pushing to win the boat. Great day on the water, looking forward to more wind! First, as newcomer to the fleet – hello to everybody! I moved to DC late last year and – after seeing the fleet out one day having too much fun while I was driving by in slow traffic — I decided to get back into Lasers. Turns out, one of the best decisions I’ve made recently. Actually that’s not a high bar in my case, but still….